By the time I was old enough to be sent to the grocery store to pick up a forgotten item or two, my mother would dispatch me to the Piggly Wiggly in downtown Geneva. It was a short bike ride from our house to the store. My mother usually wrote out the item(s) she needed so I'd be sure to get the right thing — thus eliminating the need for another trip to the "Pig." And generally the last thing my mother would say to me was something like, "Don't forget my Green Stamps." S & H Green Stamps were a vital part of most any shopping trip in Geneva. All the progressive businesses offered the stamps "with each and every purchase," as the radio announcer said. For those of you who are you too young to remember how the Green Stamps worked, here's a brief explanation: Store customers would collect the trading stamps and paste them in redemption booklets. Each page had spaces for 50 1-point stamps; five 10-point stamps; or one 50-point stamp. A book had 24 pages, which means it took 1,200 points to fill. Once you filled up your booklet, you started over — filling up the next one. Then, you looked in the S&H redemption catalog and decided which item you would like to exchange for your Green Stamps. You could get things ranging from sporting goods to jewelry to house wares. You might select an Anchor Hocking beverage set — decorated in red and white gingham designs, with eight 13-ounce, all-purpose glasses for 1¾ books of stamps. You could get an 8-ounce bottle of English Leather aftershave (that should last a few years) for one book — or a Zippo slim lighter for 1¾ books. A well-groomed man might pick up a Swank key ring — complete with nail clipper attachment — for only one book. If you wanted to go all out, you could get a Seiko self-winding men's watch for a hefty 21 books. THAT was a lot of stamps ... and a LOT of licking. When my wife Paula and I were talking recently about redeeming Green Stamps for items in the catalog, she reminded me that her favorite AM/FM radio (the one with the left knob missing) came from the S&H Green stamps redemption store in her hometown. She was a teenager when she got it. She reminded me that it still works and still has a great sound — all these years later. By the time I was doing some serious stamp licking in the early to mid-60s, the S&H redemption catalog was 178 pages long and chock-full of hundreds of items that were eagerly snapped up by Americans — as well as folks in Great Britain, Europe and Asia. The company behind S&H Green stamps has been around for a long, long time. Thomas Sperry and Shelley Byron Hutchinson founded S&H in 1896, writes Greg Hatala in NJ.com, making their money by selling the stamps and redemption books to retailers — then accepting the stamps in exchange for products in the S&H catalogs in their redemption centers across the nation. According to Hatala's article, "At the height of their popularity, S&H was printing three times as many stamps as the U.S. Postal Service and its catalog was ranked among the largest single publications in the country" — found in an estimated 80 percent of all American households. Recently, we talked about me finding a copy of the printed program from Gov. George Wallace's 1963 inauguration. Lo and behold, on page 224 there is a large ad congratulating Gov. Wallace on his "program of progress for Alabama." It was from S&H Green Stamps! In the ad the company says they are "proud to be a permanent part of the growing economy of Alabama. Over the years, we have purchased many millions of dollars of Alabama quality-made products for nationwide distribution through our more than 800 S&H Green stamps redemption stores and mail-order facilities. We are therefore keenly interested in the finely conceived program of Gov. 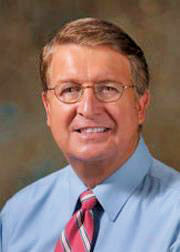 Wallace to advance the state's diversified industrial development." You may be wondering what happened to S&H Green stamps. Did they just fade away? Nope. 123 years later, they're still around! You can find them online at their website www.greenpoints.com. If you still have some of your grandmother's Green Stamps that you found tucked away in a drawer, according to the company website, they do not expire and you can redeem them for "green points or cash." But you might get more for them from a collector shopping on eBay. We can say goodbye to S&H Green stamps of the 60s when it peaked in popularity by paraphrasing Humphrey Bogart in Casablanca saying — "Here's licking at you, kid."